The legendary batsman also believes that instant fame and wealth are not the only reasons for a young cricketer to feel entitled as excessive parental attention during formative years could also prove to be equally harmful. 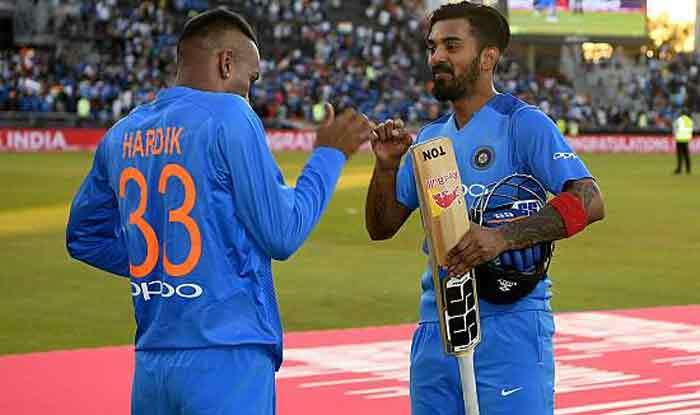 Lending his support to the tainted duo of Indian cricket team – Hardik Pandya and KL Rahul, legendary batsman Rahul Dravid believes that the two cricketers can still emerge as role models, provided they use this tough time to realise their true potential. Dravid’s comments came in the wake of the controversy surrounding the sexist remarks made by Pandya and Rahul, who were suspended by the CoA and subsequently had their provisional suspensions lifted. “I will say honestly, I do believe that both of them have not yet achieved their obvious potential that they both have, and maybe this might be the catalyst that would lead them to reflect and help them reach the level and potential they can achieve in all forms of the game. If they can do that they can certainly be role models,” Dravid was quoted by ESPN Cricinfo. Former India captain also believes that instant fame and wealth are not the only reasons for a young cricketer to feel entitled as excessive parental attention during formative years could also prove to be equally harmful. Dravid refused to agree when suggested that perhaps big money influences a player’s character. “I don’t like to equate entitlement with wealth. Yes, it can come with wealth, but I don’t think that is the only factor. It can happen from a young age. Sometimes in a lower-income family they see one of the kids is special in cricket so the entire energy of the family is focused towards him or her,” Dravid added. “If everything is sacrificed for that one person, then sometimes that can lead to a sense of entitlement as well. If that starts at a very young age, the kid could feel, “I am special and it is all about me,” the former India captain said. Dravid said parents and coaches play a huge role in the shaping up of a player. “There are two things that are very important. The first is what kids are taught by their parents and early coaches. “If people have been told they can fudge their age, that is the start of a problem. You are basically telling the kid it is okay to cheat. For me that is not setting the right example to a young kid at an impressionable age,” the India U-19 coach spoke about the age-old malaise. “If a parent is shouting at a coach and blaming a coach or umpire when things go wrong, to a young, impressionable kid, he grows up thinking that is the way things should be done. When asked how much responsibility rests with the BCCI for grooming the players when it comes to their public conduct, the former India captain said it starts from home. “I don’t think you can just pass on the responsibility to just the BCCI and state associations. Along the way there are many touchpoints for cricketers. Right from the time the boy or girl starts playing cricket, your attitude towards the game, what is it that you are taught, are very, very important,” Dravid said. Dravid said it is important to realise that sometimes these things can happen. Dravid said in the age of social media platforms which make star athletes accessible, they can’t really stop them from ignoring it but they do advise to use it smartly.